The 0xc000007b error prompts when launch a game like Far cry, Hitman, Saints Row F1 etc., on Windows 10, 8.1, 8, 7, Vista or XP, read "The application was unable to start correctly (0xc000007b). 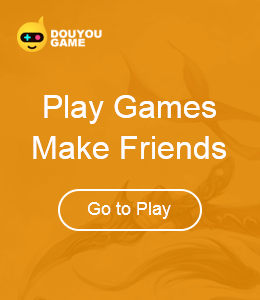 Click Okay to close the application" are not unfamiliar for many gaming addicts. In most cases, 0xc000007b error is basically due to the corrupt or part of file missing of Direct X and .NET Framework or Microsoft Visual C++ etc. software collection aside from other causes. To get rid of this nettlesome issue, you can refer to below top 5 workarounds to troubleshoot error 0xc000007b which support Windows 10 and other OS all the same. Note: Restart your computer before proceeding any solutions to see whether 0xc000007b issue reappears since it might be a fluke. Microsoft DirectX issues are the most possible culprit for the error code 0xc000007b, reinstalling and updating your DirectX could hopefully fix 0xc000007b error. Download DirectX installation package from Microsoft. Note: There is no difference among different Window OS, DirectX installation package supporting Windows 10 and other OS. Ensure to install the DirectX latest release since Microsoft releases DirectX updates without updating the version number. Reinstalling latest release of .NET Framework by downloading .NET framework from Microsoft official website is approved to be useful to application error 0xc000007b up. If you have no idea what exact version should you download as the 0xc000007b error antidote, you can turn to method 3. According to numerous of error 0xc000007b request posts, many users have encountered that problem when they upgraded to Windows 10 from Windows 8.1/8/7. There might be driver or software compatibility issues after Windows OS update. And the outdated, incompatible drivers, especially the graphics driver which controls the gaming video performance part can result in Windows 0xc00007b hitch. To fix the problematic drivers, you can count on a profession Driver management tool, like Driver Talent,repairing driver issues with just one-click. Click below button to get it. Click “Scan” to let Driver Talent find out all your incorrect Windows drivers. Click “Repair” to download and install the best-matched driver or click “Update” to update to the latest version. By doing so, you can fix 0xc00007b glitch, caused by incompatible drivers. Restart your computer to make the updates take effect. If 0xc00007b error code reappears after reboot, try below steps. • Select the “Toolbox” menu and choose “PC Repair”. • Switch to “Others” tab and click “Repair” under the 0xc00007b error related item to fix it. Select “Dll File Helper” under the “Toolbox” menu and then click "continue" to download the Dll file helper tool. Type in the name of the missing .dll file, XINPUT1_3.DLL and then click "Search". Then click "Repair" to fix the missing XINPUT1_3.DLL error. Note: Apart from repairing XINPUT1_3.DLL not found issue, Driver Talent fixes more missing .dll file , such as the openAL32.dll, physXloader.dll, ATL80.dll, mfc80.dll, mfc80CHS.dll, mfc80CHT.dll etc. Apart from drivers downloading and updating, Driver Talent equips with more premium features, such as driver’s backup, create a restore pointbefore installing any new drivers,drivers pre-download,PC speed up, fixing more missing .dll file , such as the openAL32.dll, physXloader.dll, ATL80.dll, mfc80.dll, mfc80CHS.dll, mfc80CHT.dll etc. If the above ways failed to solve error 0xc00007b, check out whether there is any update for your game or application. If not, try uninstalling the program and then reinstalling it to see whether it works. It is the last the option to fix the 0xc00007b malfunction should none of the methods above work. Try a clean install of Windows 10 from USB rather than manually upgrading, it will erase all from the system drive and a fresh copy of 0xc00007b program’s related file will be installed to the folder. You’d better create a restore point before that. Hope this article is helpful for you to fix 0xc00007b error on Windows 10/8.1/8/7/Vista/XP. If you have any further question, do not hesitate to let us know. You can get to us by leaving us comments in the commenting section below or via OStoto official forum.